We give you the tools, information, and visibility you need to proactively manage your equipment lifecycle processes. From acquisition to installation and management, we find the right solutions for your organization as your goals and technology requirements change. Order the IT, healthcare, and material handling equipment you need while easing administrative burden and preserving cash flow. Gain unparalleled visibility into your assets and maintenance contracts to validate information and eliminate discrepancies. Get help with configurations, security, collaboration, and more from our dedicated team of experts. 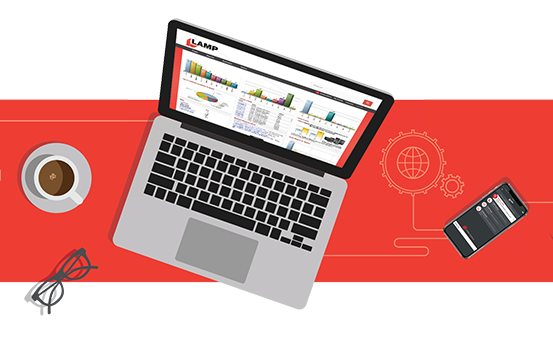 Our LAMP platform brings all your information together in one place to improve visibility, streamline processes, and maintain data accuracy, delivering a complete technology lifecycle solution to help maximize asset utilization while reducing costs. Integrate your systems using intelligent APIs. Gain global visibility into your network infrastructure. Ensure data integrity with real-time updates. Improve planning with reports and notifications. It has been enlightening working with you and the team from LaSalle Solutions and learning about the possibilities that lie ahead. Everyone has shown such a great interest in learning about how we work as an institution and how LaSalle can help with the challenges that we face. The team’s commitment to excellent customer service, extensive knowledge of your services, and the ability to think out of the box paints a portrait of success. 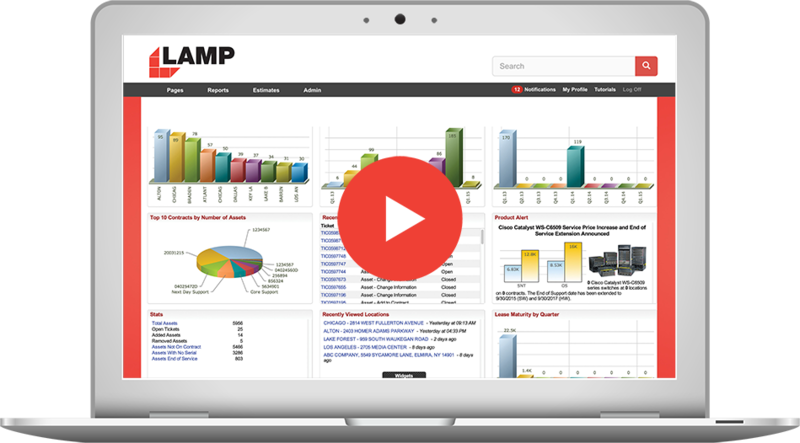 LAMP is a fantastic product that helps organize and track your network assets, service contracts and end of life/end of sale information. I just wanted to thank you for being so wonderful to work with. It truly gives me peace of mind knowing you are always there for me and the Company. You are always supportive and ALWAYS provide excellent customer service. Nice job. That’s the unique quality of service that LaSalle offers and exemplifies the true meaning of VAR with regard to support services. Wow! And I just sent you a voice mail thinking you may not have seen this one yet! Thank you! The next thing I know is you will be sending back the quotes five minutes before I send them to you. Now that’s what I call Value Add. From our end everything ran smoothly and seamlessly, which is a typical reflection of your work and attention to detail. It has been an absolute pleasure working with you…you are by far the most knowledgeable and skilled reseller I have worked with. Thanks! What would we do without you? Your quick service really rocks! Thank you for all your support. you have been a huge help to me as I have come up to speed on network maintenance. LAMP is what initially sold me on LaSalle and won me away from the incumbent partner I worked with. This is a great example of how a partner can provide value and differentiate themselves. I recommend LaSalle and LAMP to each and every peer. I find the ease of use very good. It doesn’t take long to either find or update info. Can’t say enough about the quality of LaSalle’s support. LAMP is a very important component of the value LaSalle brings over other options. Great tool, always easy to use. Great way to keep inventory and maintenance in sync. Great tool, and besides the tool itself, great people behind the scenes. LaSalle is top notch, hands down the best vendor I have worked with. LaSalle Solutions announced today that it has once again achieved Master Security & Collaboration Specializations from Cisco. LaSalle is one of an elite group of companies worldwide with these Master Specializations, Gold Certification and is recognized as a Cisco Lifecycle Advisor. LaSalle Solutions is once again partnering with The Racers Group (TRG) for the 2019 season. Through our people, process, and tools, discover how LaSalle and LAMP can help transform the way you manage your technology lifecycle. Learn more about our technology lifecycle solutions.